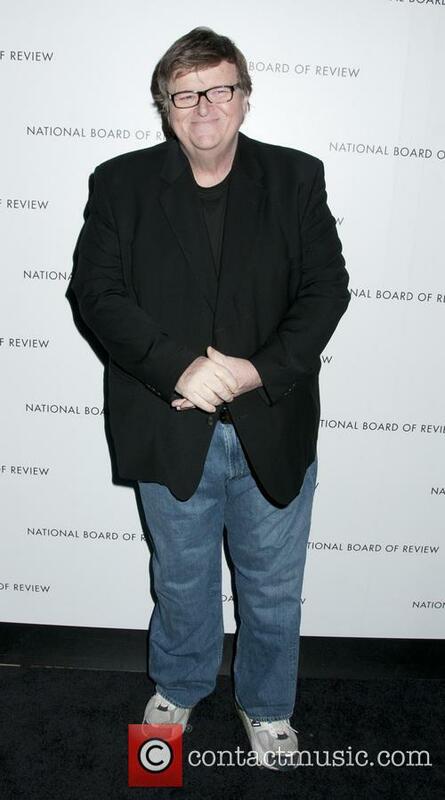 Michael Moore (born 23.4.1954) Michel Moore is an American film and documentary maker, as well as an author and political commentator. 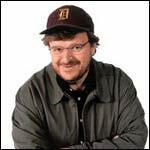 Childhood: Michael Moore was born in Flint, Michigan, then raised in Davison, a suburb of Flint. His mother, Veronica, was a secretary and his father, Frank, was an assembly-line worker in a vehicle factory. Michael was raised as an Irish Catholic and attended St. John's Elementary School, followed by Davison High School. Whilst at school, he was actively involved in drama, as well as the debating society. 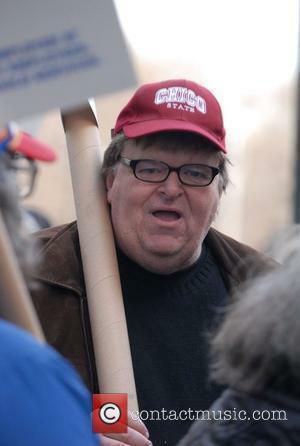 His Career: Michael Moore briefly attended the University of Michigan-Flint. After dropping out, he founded an alternative weekly magazine entitled The Flint Voice. As the magazine began to cover a wider catchment area, its name changed to The Michigan Voice. In 1986, Moore became the editor of another liberal political magazine, Mother Jones, and so shut down The Michigan Voice. When he was fired from Mother Jones, he sued for wrongful dismissal. The resulting $58,000 compensation that he received enabled him to finance his first film, Roger & Me. Roger & Me was released in 1989. It was a documentary that detailed the closing of General Motors' factories in Flint, in favour of opening cheaper factories in Mexico. 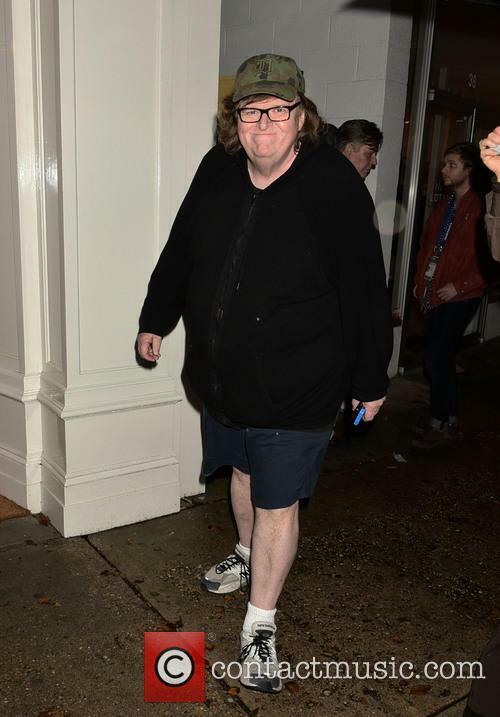 Michael Moore's next documentary was Pets of Meat: The Return to Flint. It aired on PBS in 1992. 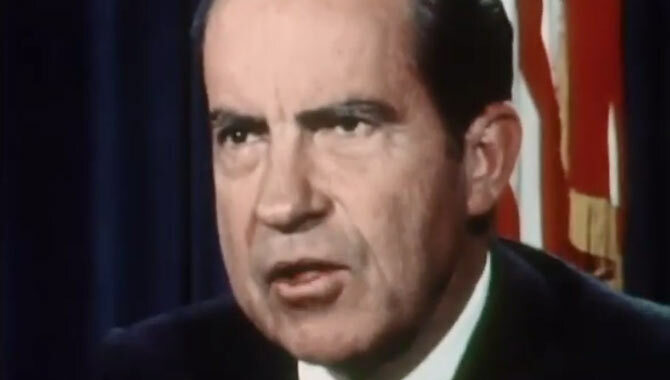 Three years later, he made Canadian Bacon, a satirical film featuring a fictional US president that fabricates a war between the US and Canada, in order to boost his own popularity. The film was one of the last films that John Candy appeared in before he died and also stars Rip Torn. It has been reported that some scenes of the film were influenced by Stanley Kubrick's Dr. Strangelove. 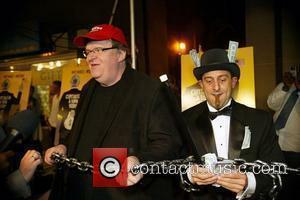 Michael Moore directed The Big One in 1997, which documents the publicity tour for his book Downsize This! Random Threats from an Unarmed American. The book (and documentary) is critical of corporations laying off staff, despite huge profit-making. 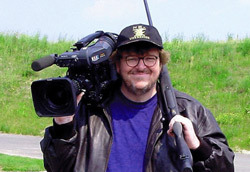 Bowling for Columbine is perhaps one of Moore's best-known works. The 2002 documentary investigates gun culture in the USA, using the Columbine High School massacre of 1999 as a start-point for the film. 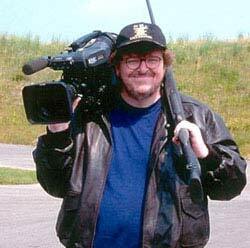 Bowling for Columbine went on to win the Anniversary Prize at that year's Cannes film festival, as well as an Academy Award for Best Documentary Feature. 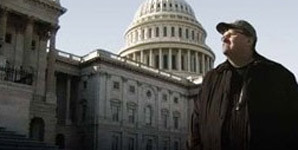 Farenheit 9/11, Moore's next major documentary feature, went on to surpass the popularity of Bowling For Columbine. It was awarded the Palme d'Or prize at Cannes, but was not nominated for an Oscar. It has become the highest grossing documentary of all time, having taken around $200 million at box offices around the world. 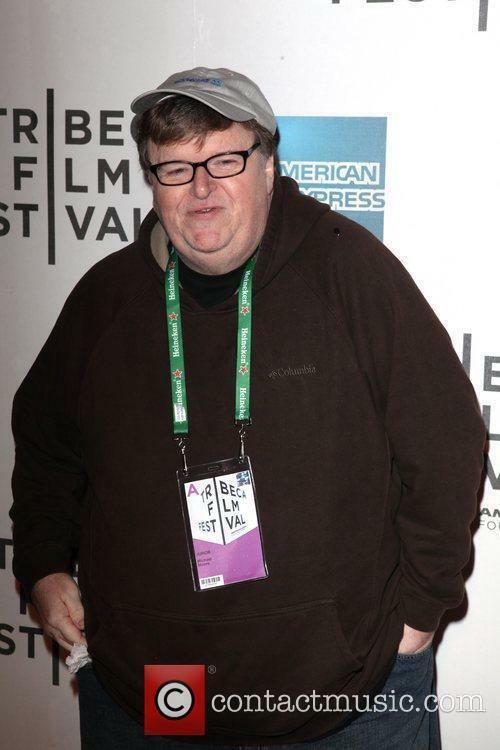 Michael Moore's next subject matter would be the American health care system, in his documentary Sicko. Four major pharmaceutical companies in the US ordered their employees not to grant any interviews to Moore. Sicko received a nomination for a Best Documentary Feature Academy Award. 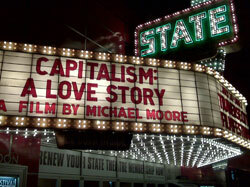 In September 2009, Michael Moore released a documentary entitled Capitalism: A Love Story. The film looks at the financial crisis that began in 2007 and scrutinizes the US economy during the transition between George W. Bush and Barack Obama's administrations. Michael Moore has also undertaken a number of small acting roles, including playing the cousin of Lisa Kudrow's character in Lucky Numbers. The film also starred John Travolta and Tim Roth. Moore also had a cameo in his own film Canadian Bacon and in The Fever, which starred Vanessa Redgrave. Michael Moore directed and hosted the BBC series TV Nation between 1994-5. Between 1999-2000, Channel 4 screened The Awful Truth, which took a satirical look at politicians and large corporations. 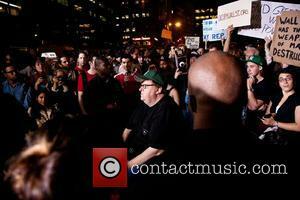 Channel 4 also broadcast Michael Moore Live, which was broadcast from New York, but only shown in the UK. Michael Moore has also turned his hand to directing music videos, including two for Rage Against the Machine, one for System of a Down and one for REM. 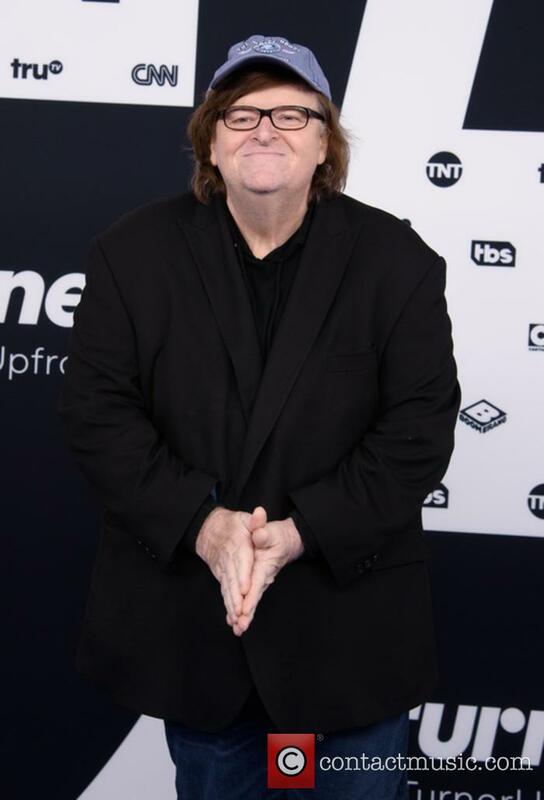 Moore has also authored three best-selling non-fiction books, Downsize This!, Stupid White Men and Dude, Where's My Country? Personal Life: Michael Moore married Kathleen Glynn in 1990. Moore has a step-daughter named Natalie. The firestorm of media criticism around Tarantino's comments is still growing after almost two weeks. One of New York City’s biggest newspapers is taking sides in the uproar over Quentin Tarantino’s comments about cops. The New York Post has run an editorial piece accusing the director of “trolling” police unions in order to sell tickets for his upcoming movie. The paper has previously called on Tarantino to apologise for the comments made at a rally nearly a fortnight ago, in which he addressed the crowd and called cops who shoot unarmed black and Hispanic people as “murderers”. The Reservoir Dogs director spoke on MSNBC earlier this week to clarify his position, but the new editorial has essentially seen the Post entrench its position. Continue reading: Clint Eastwood: "People Say I Threatened To Kill Michael Moore"
Is American Sniper's Chris Kyle Really A Coward? Bradley Cooper is nominated for Best Actor at the Oscars, while 'American Sniper' landed a nod for Best Picture. American Sniper may be on-course to be the biggest grossing war movie of all time, and it may have scored surprise Oscar nominations for Best Picture and Best Actor, but should we really go along with the whole hero narrative? Not according to documentary filmmaker Michael Moore, who has described snipers as "cowards". 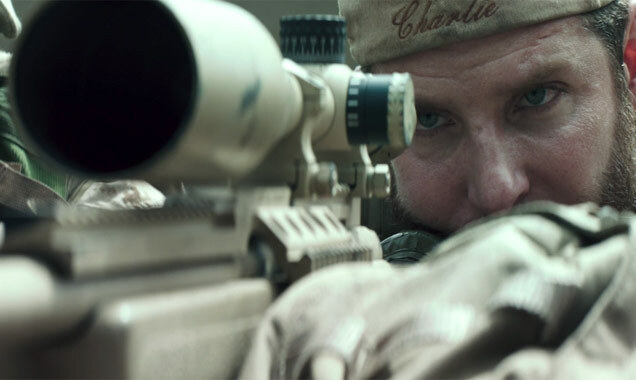 Chris Kyle, played by Bradley Cooper, is credited as the deadliest sniper in U.S. military history. He was killed at a Texas shooting range by a former soldier after returning from Iraq in 2013, though his Hollywood story was already in the works. The movie has already set box-office records for a January movie and pulled in an estimated $105 million for the long holiday weekend. Continue reading: Is American Sniper's Chris Kyle Really A Coward? 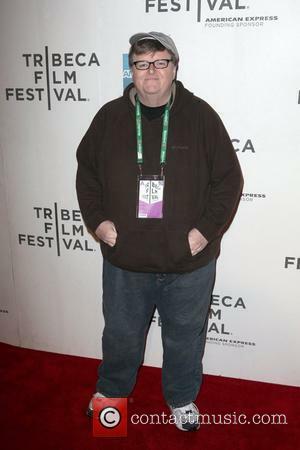 American filmmaker Michael Moore, famous for social commentary documentaries including Bowling for Columbine and Fahrenheit 9/11 and his wife, producer Kathleen Glynn, have divorced. The couple had been married for 22 years but Michael filed a divorce complaint in June 2013 and it seems the pair have been finalising the details of their separation ever since. A statement on 60-year-old Moore’s website confirmed: "Kathleen and Michael have mutually and amicably reached a divorce settlement". 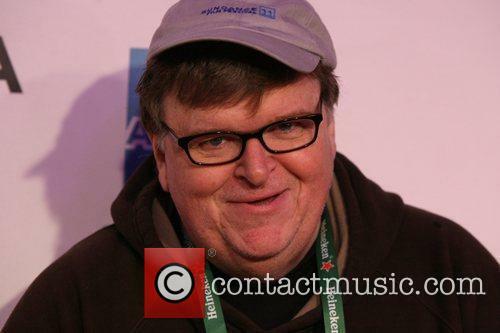 Bowling For Columbine and Fahrenheit 9/11 documentary movie-maker Michael Moore has ended things with his wife of 21-years - Mlive.com reports - following a long period of separation with seemingly no chance of reconciliation. 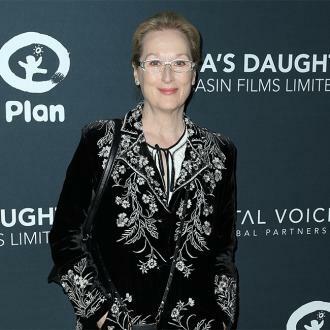 According to reports, 59-year-old Moore filed for divorce from his wife Kathleen Glynn, 55, on June 17 following a period of separation during which time the couple weren't living together. 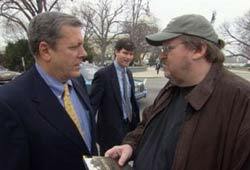 Moore and Glynn were also a working partnership as well as husband and wife, with Glynn serving as producer on a number of Moore's documentary features, including Bowling for Columbine, Sicko and Fahrenheit 9/11. A complaint was filed in a circuit court near their home on Torch Lake, Michigan, last month that revealed that they no longer live together and that their relationship has broken down with "no reasonable likelihood that the marriage can be preserved." Five Broken Cameras is an Oscar-nominated documentary by Emad Burnat. 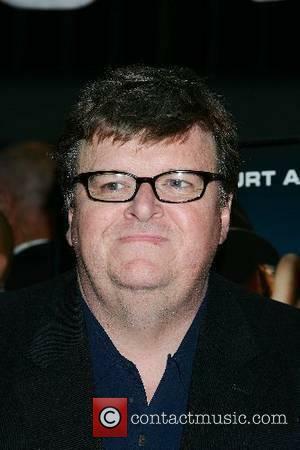 And if it wasn’t for Michael Moore’s help, the director might not be in the country to accept the award, should he win. See, he was held at LA’s LAX airport for 1.5 hours upon landing along with his wife and eight-year-old son. "Although he produced the Oscar invite nominees receive, that wasn't good enough & he was threatened with being sent back to Palestine," Moore said on his Twitter feed of the incident Tuesday night. "Apparently the Immigration & Customs officers couldn't understand how a Palestinian could be an Oscar nominee. Emad texted me for help," he added. "After 1.5 hrs, they decided to release him & his family & told him he could stay in LA for the week & go to The Oscars. Welcome to America.” Moore quoted Burnat as saying: "It's nothing I'm not already used to...When u live under occupation, with no rights, this is a daily occurrence." This years Governors Awards saw one heck of a turn out in terms of famous faces, with honouree Jeffrey Katzenberg and Academy Award-winning director Steven Spielberg just two of the big names in attendance at the black tie event. This years Jean Hersholt Humanitarian Award was handed to Katzenberg, honouring his ongoing commitment to charity, with the the founder and chief executive of Dreamworks Animation set to be given his award during the Oscar ceremony in February 2013. Fellow honourees at the gala include arts advocate George Stevens, Jr., documentarian D.A. Pennebaker and stunt performer and director Hal Needham. Sidney Poitier and Annette Bening introduced Stevens, speaking highly of his commitment to the arts before allowing him to the stage - where he thanked his late father for encouraging him to consider film a timeless art and "for opening the door for me to a creative life." Moore's latest filmed essay is another raucously entertaining trawl through the darker side of America. Of course it's one-sided, as we expect with Moore, but it's also looking at a hugely important subject that naysayers dismiss without even a second thought. So is Moore preaching to the choir? His topic this time is pretty clear from the title, and over the course of the film he combines history with current stories. At the core is the theory of capitalism, a system of free enterprise, competition, profit and demand, the ultimate democracy. But the truth is actually the opposite, because democracy is about equality, not a society in which the top 1 per cent has more wealth than the other 99 per cent put together. 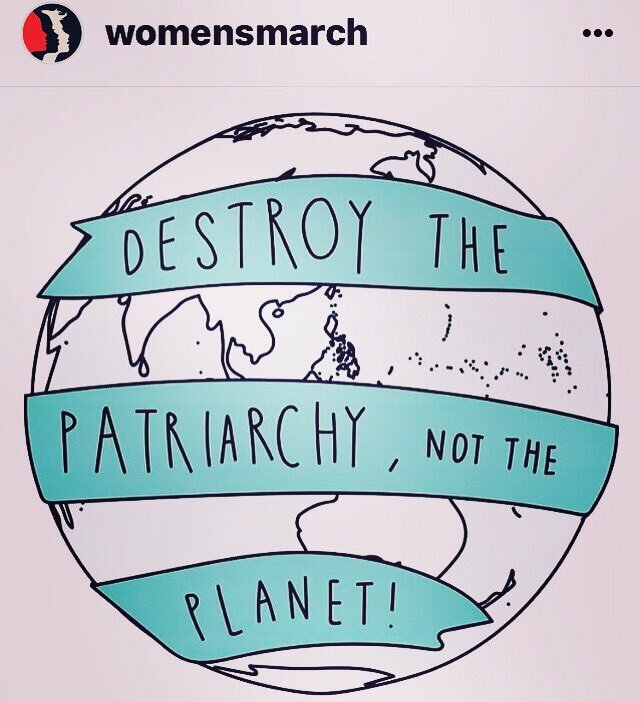 And the obvious question is why the richest nation on earth doesn't offer health care, higher education, pensions or even enough vacation time to its citizens, while other developed countries have all of these things and more. Happy 86th RBG!! Ageless, priceless, fearless. 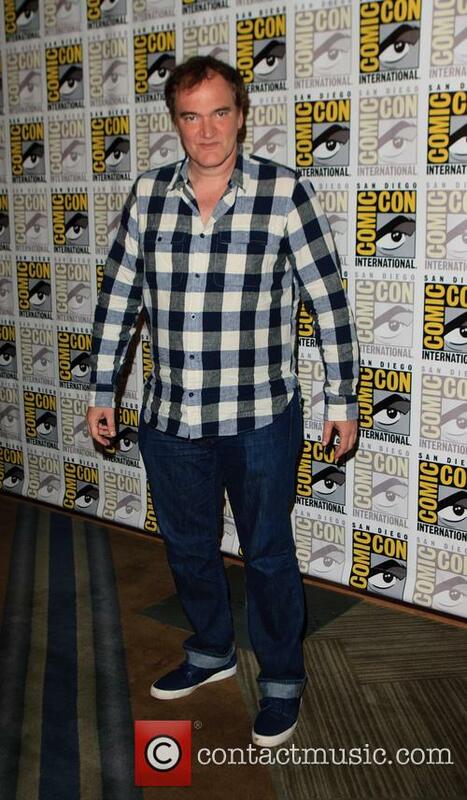 Our national treasure. We are all here for you.